Failure is a costly proposition in any industry – and agriculture is certainly no exception. The New York Times reported earlier this year that the U.S. Department of Agriculture estimated total losses of $15.8 billion from crops harvested in 2012, thanks to a nasty drought. That’s up from $9.4 billion in 2011. Farmers can’t control the weather, of course, but they’ve come to trust companies to design machinery using components such as hydraulic pressure sensors. These small pieces of hardware precisely meter the performance of automated equipment. This precision gives farmers the ability to improve the outcome of those things that can be controlled. Distributing proper levels of herbicides, pesticides, and other essential chemicals is vital to any agricultural operation. On a smaller scale, consider what happens when you over-fertilize your lawn. Some might do this intentionally, but more likely, you’ve simply used the wrong setting on your drop spreader. You’ll get rid of all the crabgrass and dandelions, all right. You’ll also end up with a lot of brown, dead grass that might take all summer to recover. The same principle holds true in a large agribusiness setting, except on a grander scale. Here, the impact is to both the economy and the food supply: mistakes in chemical application can inflict major damage to a farm’s yield. Consequently, proper metering of chemicals is fundamental. Farmers need agricultural machinery built with tough, reliable instruments designed to prevent such catastrophic mistakes. That’s why hydraulic pressure sensors that control various machinery operations are so important. 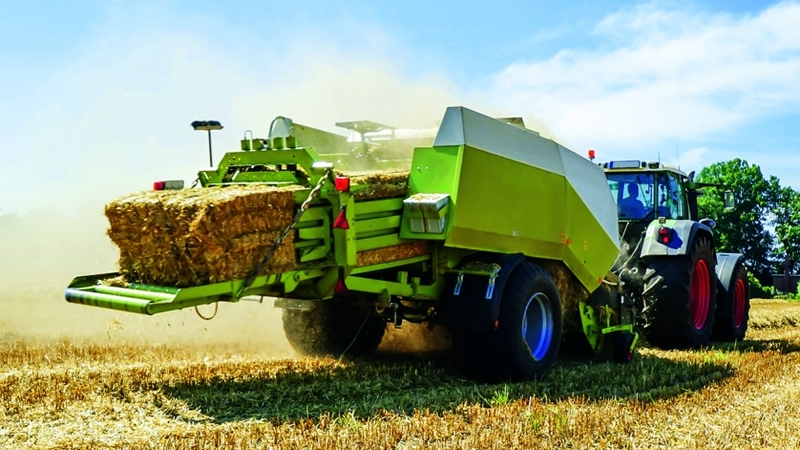 A proven solution for the agricultural industry is WIKA’s MH-2, a line of hydraulic pressure sensors specially designed for mobile vehicles and off-road applications. The MH-2 series offers excellent durability and performance even in punishing environmental conditions. Design features include extreme shock and vibration resistance and WIKA’s signature Cavitation Dampening System (CDS). Several NEMA 4 / IP 67 electrical connections are available, and the cable version provides resistance to high-pressure steam cleaning procedures. A metal sleeve inside the unit’s case provides excellent shielding from electromagnetic interference. Custom modifications are available for large quantity orders. More recently, WIKA’s expertise in the design and manufacture of serial bus systems and digital pressure transmitters has been incorporated into any hydraulic pressure sensor. A popular choice for farming equipment is the MHC-1 Pressure Transmitter for Mobile Hydraulic Applications. The MHC-1 is available with either CANopen™ or J1939 protocol—which are the most common protocols for mobile hydraulics. WIKA hydraulic pressure sensors can be preconfigured for specific applications, thus enabling installation without any additional adjustments. In addition, a version with an integrated input and output connector (Y-connector) makes installation both easy and secure. Both connector variants of the pressure transmitter have been qualified with an IP 6K9K ingress protection. Agricultural mishaps can decimate a farmer’s bottom line. WIKA’s hydraulic pressure sensors can help protect agricultural operations from mechanical malfunctions and costly misapplication of chemicals.